Page thumbnails provide miniature previews of document pages. 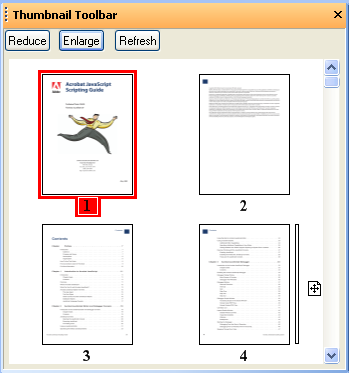 PDFill PDF Editor makes it a breeze to navigate from one page to another page in a PDF document. 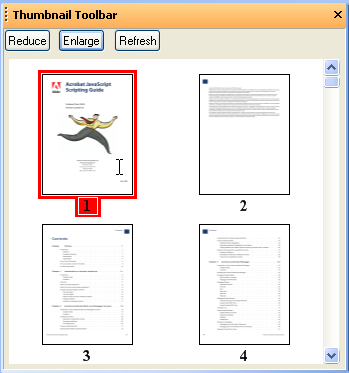 The "Thumbnail View" Toolbar allows you to view page thumbnails of all the pages included in the PDF document and you can simply click on the thumbnail to quickly travel to that page. 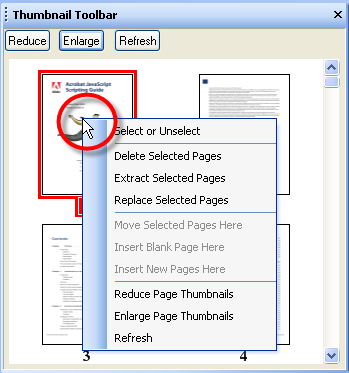 Follow the steps below to find out how you can view page thumbnails in PDFill. 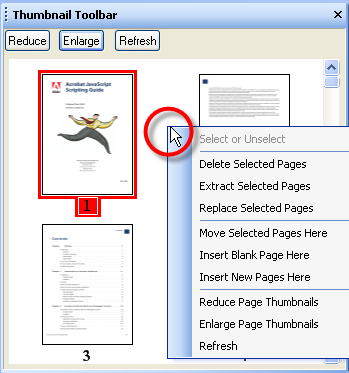 You can select and unselect PDF pages; rearrange pages by drag and drop; move, delete, extract and replace the selected pages; Insert a blank page or new pages from another PDF. 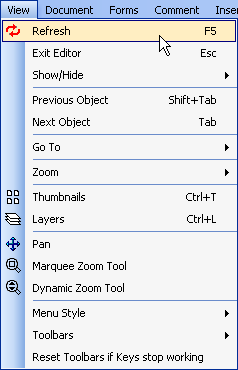 or click the PDF Thumbnails in the View Toolbar. Rearrange pages by Drag and Drop the thumbnail images. A bar flashes between pages to indicate position. You can reduce, enlarge or refresh Page Thumbnails. The outer space must be on the left or right of a page. The outer space under or above the page will not work.